Skills and Abilities: Capable street fighter. Powers: Frozone has the power of cryokinesis allowing him to generate sub zero ice and cold. 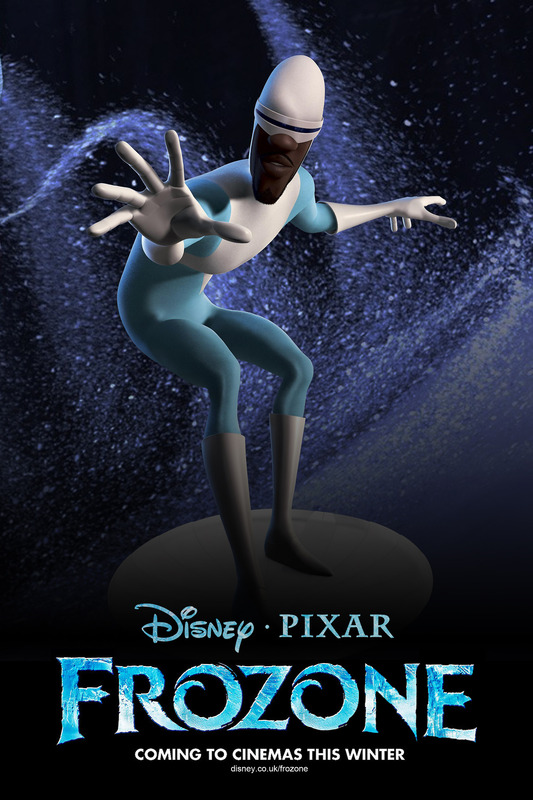 At the peak of the Superhero craze Frozone was the best friend of Mr. Incredible the most popular of them all. He also served as the best man during the marriage of Mr. Incredible and Elastigirl. After the superheroes are outlawed he settles into a normal life and marries “honey”. He is pulled back into the life of a superhero by his best friend. He is then drawn into battle with Syndrome and his giant robot. Shadowland Powerman #3 & #4 Covers!! !